Don't forget that the Upper Hawkesbury Power Boat Club Bridge to Bridge will be held on Sunday 27th May. The race starts at the Brooklyn Bridge, and follows the river for 112kms to the finish at the Windsor Bridge, located at the Windsor Marine Stadium. There are restrictions on using the river which will be displayed on the Maritime Notices website. The new schedule of fees is due at the end of this month and will be available on the internet here and on the download pages. Everyone will be notified by email when they are finally set. How's this for something different to do? Fun and delicious! The orchard is open for fruit picking on weekends, public holidays and school holidays. You need to ring to make sure they are open. "Pick your Own Mandarins - straight off the tree. Seasonal from late May to end of September. 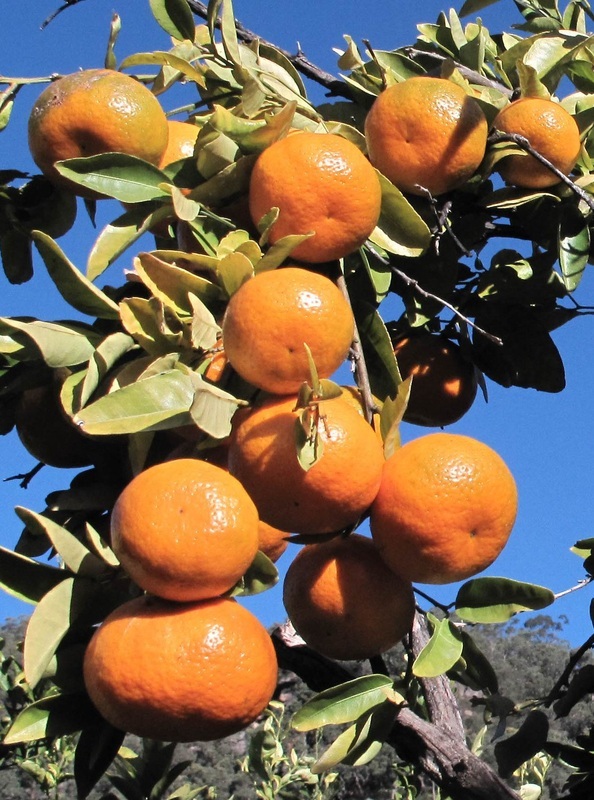 The varieties of mandarins are; Imperial, a very popular variety, extra juicy and extra large this season, an old family favourite is the Emperor mandarin, grown for many generations, easy to peel with a great flavour, and the last variety of the season is the Hickson, which is available from the middle of August until the end of September.